June 15 – Build a Better World with Phoenix Library! Bookmans is your place for educational, interactive and most importantly F.U.N events sure to combat the summer boredom blues. 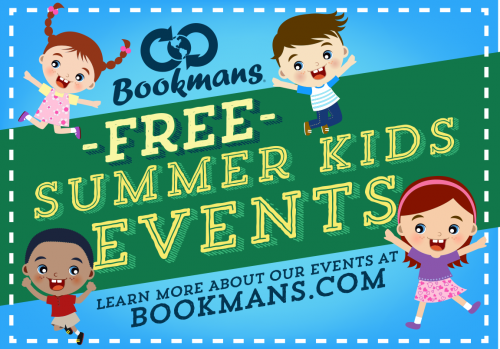 Check out our events calendar for a list of all of our Summer Events at your nearest Bookmans location. We look forward to seeing you!